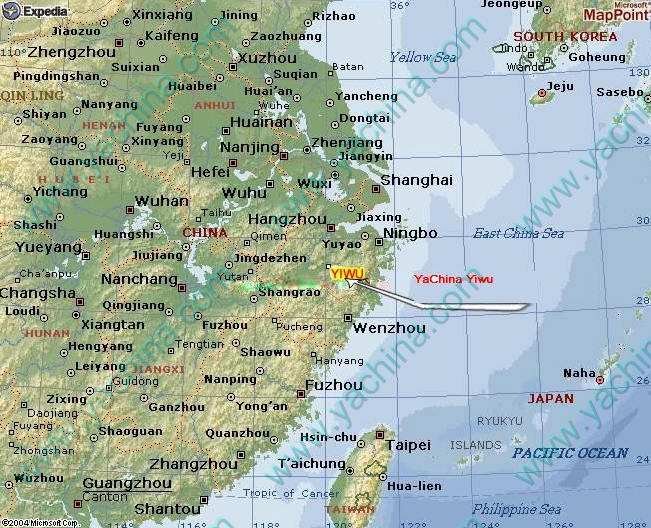 Yiwu, is named by a bird, located in central Zhejiang Province, east by China’s largest city Shanghai, facing the Pacific golden path.from the provincial capital Hangzhou 108 kilometers north. Area of 1105 square kilometers.It is a city with a long history and rich cultural heritage of the city. Goujian sleep on the brushwood, called “hurt”, the city also speak the language. Yiwu is the world’s largest commodity distribution center. Identified as the largest market in the world by the United Nations, the World Bank and other international authoritative institutions. Yiwu International Trade City, the National Tourism Administration awarded the honorary title of the first AAAA-level shopping tourist area. “Commodity ocean, a shopper’s paradise” has become synonymous with prosperity, civilization Yiwu.